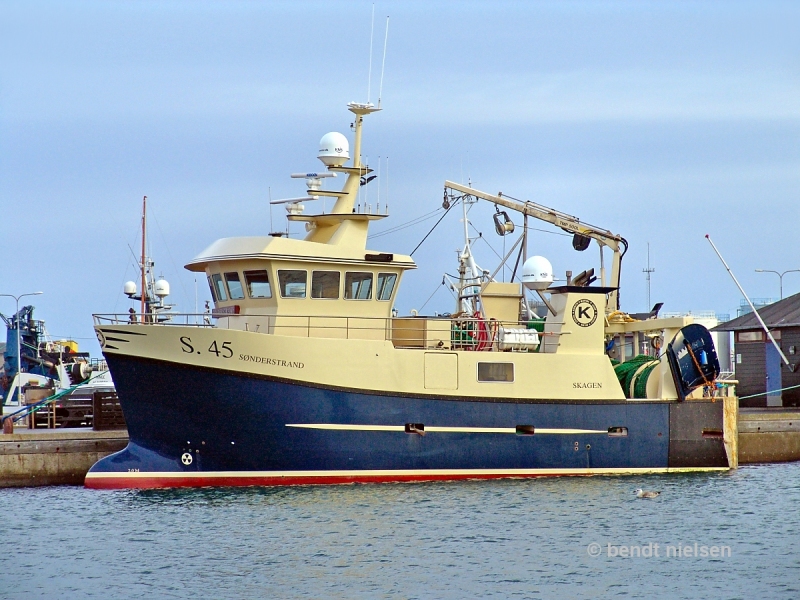 Denmark's largest fishing boat in fiberglass SONDERSTRAND is new built in 2016 and is seen here in the home port of Skagen. Here you can read a little more about SONDERSTRAND in English. This photo has been shown 294 times since it was added to the site.